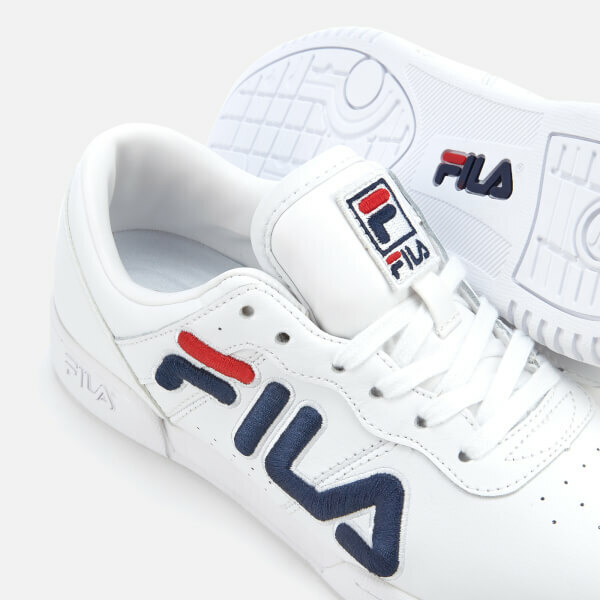 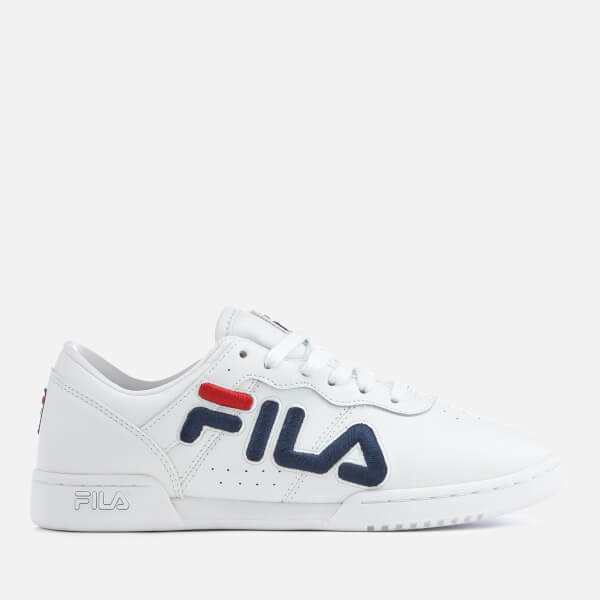 Crafted with smooth faux leather uppers, the women’s ‘Original Fitness’ trainers boast FILA’s classic round-toe construction, clean lines and low-profile silhouette. 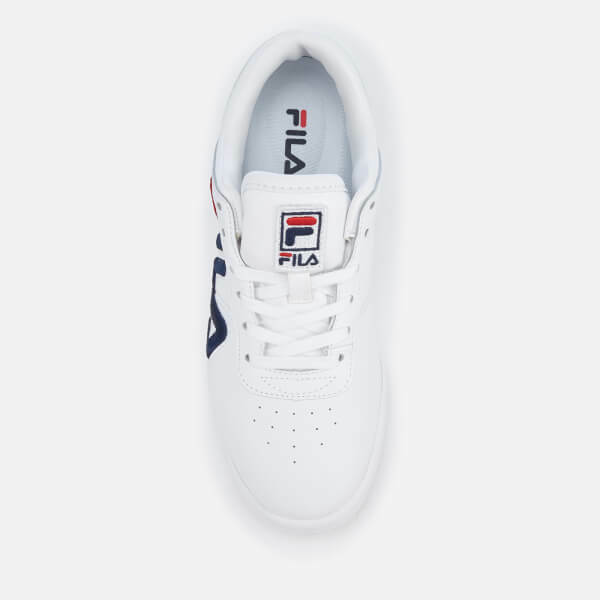 Fastened with an open-lacing system and set upon a slimline rubber sole, the all-white, low-top sneakers are offset by the South Korean sporting goods company’s red and navy embroidered logo on the exterior foot, heel and tongue. 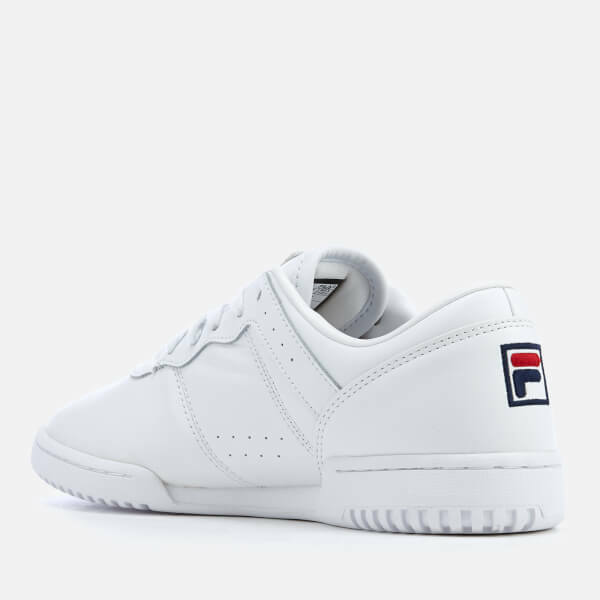 Perforations on the vamp and sides enhance ventilation and padding at the collar offers all-day comfort.